Because Fibertech components are lightweight ( approximately 2 lbs./sq. ft.), they require less structural support than heavy conventional materials. 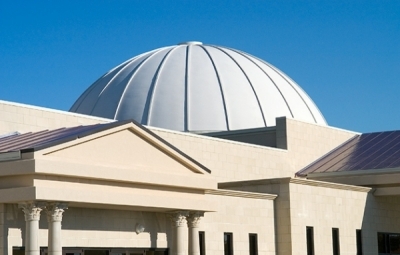 In the project shown here, Fibertech created a 50 foot diameter dome supported on the perimeter for dramatic interior and exterior effect.